GermGuardian offers a variety of air purifiers – Tabletop, Tower, Refurbished and Console. These air purifiers will solve all your indoor air issues like odor, dust, smoke, pet hair, etc. and bring security and safety to your health. There are a number of air purifiers available in the market but not all of them are the most reliable for your health and home. Guardian Technologies offer leading home environment improvement product including Air purifiers, UV air sanitizers, humidifiers, diffusers, and True HEPA Filters. Guardian Technologies sells Air Purifiers under the brand name GermGuardian. Keep reading to know the Reviews on GermGuardian Air Purifier, Features and more. GermGuardian AC4100 Air Purifier has simple, stylish design which will look great in any home. Its 3-in-1 Air Cleaning System comes with HEPA Filter, UV-C Sanitizer, and Odor Reduction features. This 11-Inch Table Top Tower Air Purifier is perfect for any room and fits best in small spaces (maximum 60 sq ft.). Its HEPA Filter captures 99% of airborne particles as small as 0.7 microns in size and reduces dust and allergens. The UV-C light technology works with Titanium Dioxide to kill airborne bacteria, viruses, germs and mold spores. The charcoal filter helps reduce common odors from pets, smoking, and cooking. It features 3-speed controls including an ultra-quiet low speed. It comes with 1 Year Limited Warranty. Price $59.99. You will find several happy AC4100 GermGuardian Table Top Air Purifier Reviews from its users. They say it runs very quietly & does a great job of purifying indoor air. You can smell and feel the difference in every breath. This unit is great for people with allergies and asthma. Customers noticed a significant difference with air particles in their homes, making wheezing almost nonexistent in asthmatic people. It is highly recommended for people with pets, allergies, and asthma. GermGuardian Air Purifier AC4825 3-in-1 True HEPA Air Purifier is perfect for people with allergies. It comes with True HEPA Filter, UV-C Sanitizer, and Odor Reduction and is 22-Inch tall. Its True HEPA filter captures 99.97% of dust and allergens as small as 0.3 microns in size. Its charcoal filter reduces common odors and UV-C light technology works with Titanium Dioxide to eliminate airborne bacteria and germs. CADR Rated 100+, it is lightweight and ideal to use in medium-sized rooms up to 155 sq. ft. It includes a UV-C control and a filter change indicator. Choose from 3-speed controls, including a low speed that runs ultra-quiet. Price $99.99. It comes with 3 Year Limited Warranty. People opinion about GermGuardian AC4825 Air purifier is fantastic. People with allergies/ sinuses are happy to receive much relief. Also, people who were coughing and sneezing are experiencing a lot of difference. In addition, it is easy to use, is of good size & lightweight yet sturdy to move from one room to another. It works very quiet and removes food smells as well as help with the dog dander. Customers are highly satisfied with its cost and design. However, some people complain that it has to be run on high in order to get best results. Also, it is a little loud when running at high speed. The GermGuardian AC5250PT Air Purifier is perfect for allergy sufferers. This 28 inches tall, lightweight model is ideal to use in both medium or large rooms. Its True HEPA filter captures 99.97% of allergens including pet dander, dust mites, and pollen. The Pet Pure filter is an antimicrobial agent added to inhibit the growth of mold, mildew and odor-causing bacteria on the surface of the filter. The UV-C light kills germs, while the charcoal filter captures odors. It has a CADR Rating of 125+ which works great for rooms measuring 190 square feet and less. It also features easy to use digital display panel for UV-C control, a filter change indicator and an up to 8-hour timer. The 5-speed controls provide high-speed allergen control down to ultra-quiet sleep mode. It comes with 5 Year Limited Warranty. Price $149.99. Model AC5250PT is 28 inches GermGuardian Digital Air Purifier with a digital display panel which is a much-favored feature amongst its users. People are happy to turn the blue UV light on and off, getting minimum light at night. They also say that it works great in the large room providing fresh and clean air. Overall, this is a premium quality excellent product, works as described and available at a reasonable price. However, some users complain noticeable noise on 3, 4 and 5 settings especially at night which could disrupt sleep. Model CDAP4500WCA GermGuardian 4-in-1 Air Purifier comes with SmartAQM Air Quality Monitor, True HEPA Filter, UV-C Sanitizer, Odor Reduction and Connects wirelessly using Wi-Fi or Bluetooth. Its True HEPA filter removes allergens and captures 99.97% of allergens including pet dander, dust mites, and pollen. Its UV-C light kills germs, and the charcoal filter captures odors. CADR Rated 100+ is best for small to medium rooms. This lightweight unit is energy efficient and stands 22 inches tall. It comes with an easy-to-use smart app for you to monitor the air quality in your home from anywhere. When in auto mode, its SmartAQM technology detects the number of particles in the air and automatically adjusts the speed to optimize room air quality. The Guardian Technologies App informs you when it’s time to replace filter or bulb and also keep you updated on the allergy conditions in your area. It features a 12-hour timer and 5-speed controls that even runs in ultra-quiet mode. Price $179.99. It comes with 3 Year Limited Warranty. You will find mixed CDAP4500WCA GermGuardian Smart Elite Air Purifier Reviews. It makes very low noise and works exactly as advertised. People say it is great for allergies, dust, mold and cleaning overall indoor air quality. Air in homes is odor free, clean & fresh. The easy to use App allows air volume control and indicates when a new filter is needed. However, a few people mention that it would be more useful if it comes with a regular remote control instead of remote control app. Also, some people comment that it should have an option to turn off or dim the display lights to easily sleep at night. Where To Buy GermGuardian Air Purifier? 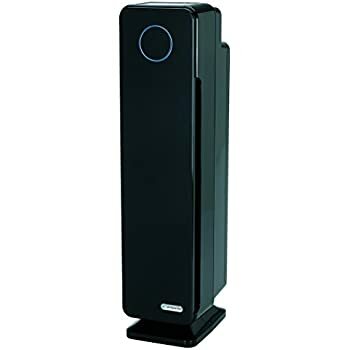 The GermGuardian Air Purifier Best Buy is online from its official site guardiantechnologies.com or many online retailers. Avail Free Shipping on all orders over $75, discounted prices or subscribe to the Guardian Technologies email for receiving healthy living tips, exclusive sale offers and new product launch directly to your inbox. Alternatively, check GermGuardian Air Purifier Amazon, home depot, Wal-Mart, etc. to avail discounts, special offers or at least free shipping deals. Buy Germ Guardian Replacement HEPA Air Purifier Filter and other replacement filters easily online from its official website guardiantechnologies.com. Replace GermGuardian air purifier filters every 6–8 months or depending on the use to maintain an optimal level of air purification in your home. How will I know when it’s time to replace my filter? You will know your filter needs replacement when the filter turns from white to gray or black. Where do you use GermGuardian air purifiers? These air purification systems are made for indoor use only. It is recommended to put the unit in a room where you spend the most amount of time such as the living room, bedroom or kitchen. It is also a great idea to use at work desk. How do I know when I need to replace UV-C bulb? You will know your bulb needs to be replaced when it starts to flicker, turns a yellow/orange color or stops working completely. Is GermGuardian air purifiers filter washable? Clean the pre/charcoal filter layer that attaches to the HEPA portion of the filter using the brush attachment tool on your vacuum cleaner. If you notice the HEPA portion of the filter turning from white to gray or black, replace the filter entirely. GermGuardian offers varied air purifiers from compact size to sturdy big, making it ideal to fit in small or big sized rooms. These tower and tabletop air purifiers are lightweight looks appealing and easily movable to clean air inside any room. Considering the trusted brand, great value, several positive reviews from asthmatic and allergic sufferers, free shipping, and affordable price compared to the competition, it is recommended buying GermGuardian Air Purifiers today.